A weekend road trip took us north up the coast1 to Bodega Bay, where we hoped to spy some Hitchcock-esque scenes. 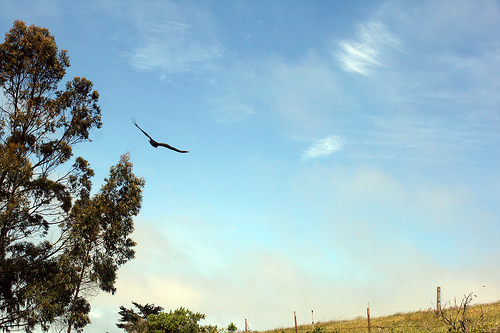 Ironically, Bodega Bay was relatively bird-free and we had a hard time even finding a flock of birds larger than two.2 Not much going on in a town that I expected to be teeming with avian-themed attractions. We even attempted to find the schoolhouse from the film. Well, we found a schoolhouse circled it twice, couldn’t decide if it was the right one, and eventually left disappointed. 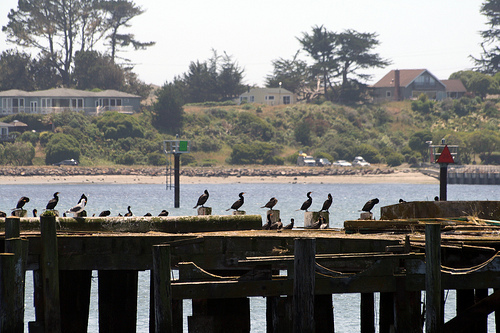 Bodega Bay did have some redeeming characteristics, however; some beautiful piers, a couple of lone egrets, and picturesque rows of houses along the bay. Next we headed to the edge of wine country, arriving at Matanzas Creek Winery for a much-anticipated wine tasting and tour of the estate. Like the classy people we are, we sampled five wines (two white and three red) plus another couple, including a fun dessert wine that tasted vaguely of tropical fruit. The wine was, of course, excellent, but the most exciting thing about this particular winery was the grounds. 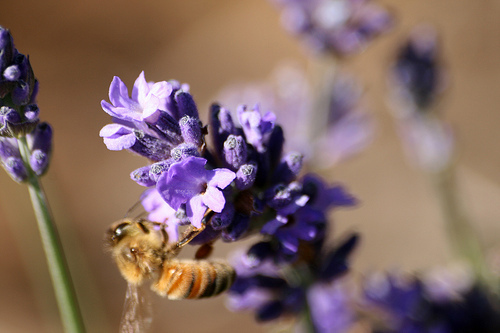 Nestled on the slope of a small mountain and overlooking a lush valley, Matanzas Creek is known for two things: their wine and their lavender fields. (They even have a lavender festival each year, and sell lavender sachets, soaps, perfumes, candles, and lotions, alongside their wines.) We explored the gardens, saw a few beautiful trees, and even spied some wildlife. 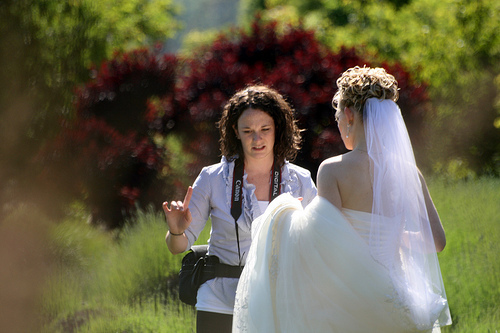 The setting was so gorgeous, in fact, that an excited bride-to-be was having her wedding photographs taken there.